The famous creator of the exotic Lamborghini cars, Ferruccio Lamborghini, also built a 9 hole golf course on his estate near Panicale on the shores of Lake Trasimeno. 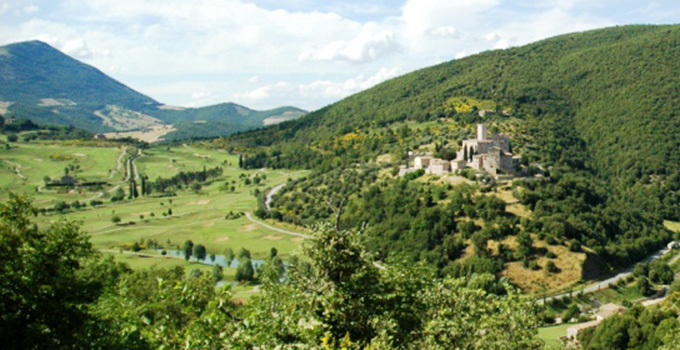 The course nestles amongst vineyards and forests covering 45 hectares of Umbrian countryside. Ferruccio wanted to make golf more popular in the area, and accessible for locals. In addition to nine holes you can make use of the covered driving range, and an illuminated area which includes areas for pitching, putting and bunker practice. The modern clubhouse enjoys a commanding position in the estate and offers a warm welcome and a friendly atmosphere. 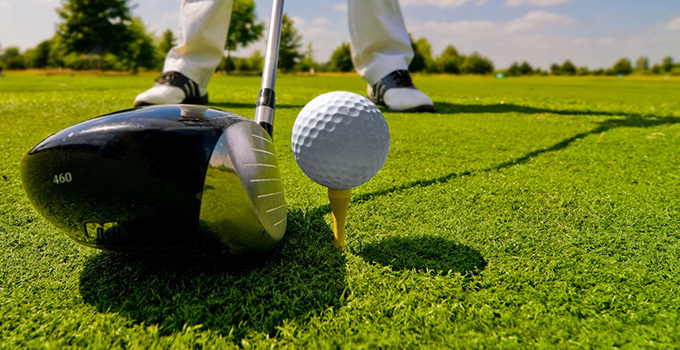 There you can relax and enjoy the facilities which include a bar, pro shop, billiards and a gym. 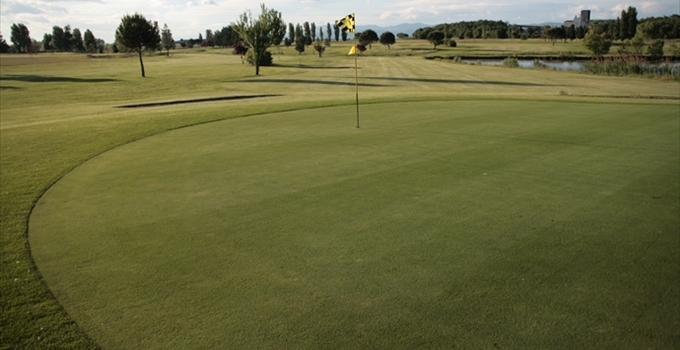 The Golf Club is located just 6 km from the center of the Etruscan city of Perugia. 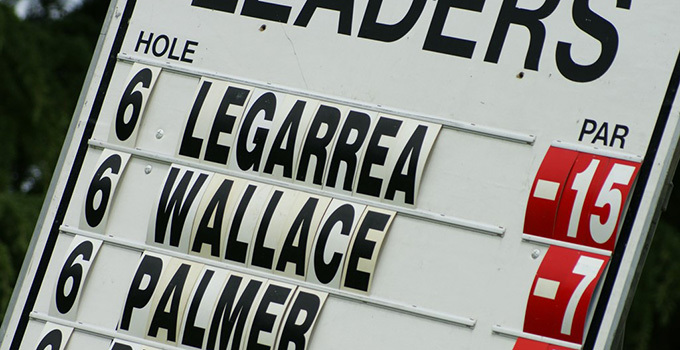 The course is a gently undulating - Par 72, the core of which dates back to the late fifties, it was redesigned in the early nineties by the architect David Mezzacane. The lush countryside surrounds the fairways and makes for numerous areas of interest that require the keen precision by players. 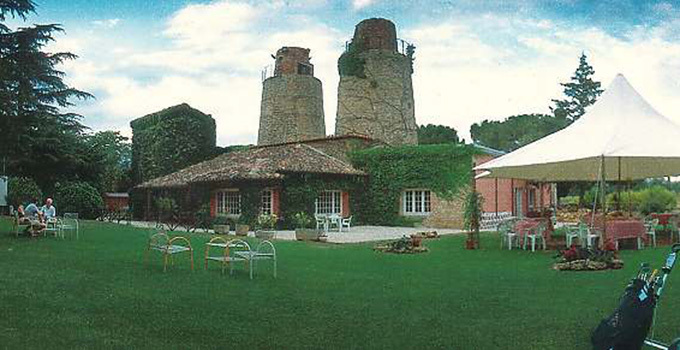 The Club House is made from an old lime kiln from 1921 which maintains the imperious towers that guard the entry path that has been designed to be reminiscent of the English countryside. The clubhouse features a restaurant where you can taste typical Umbrian dishes and take a dip a the new swimming pool that is available to members and guests. 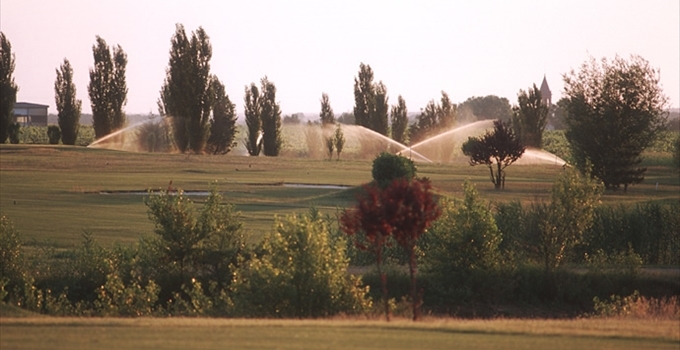 Facilities: Driving range, putting and chipping greens, pitching, and bunker. 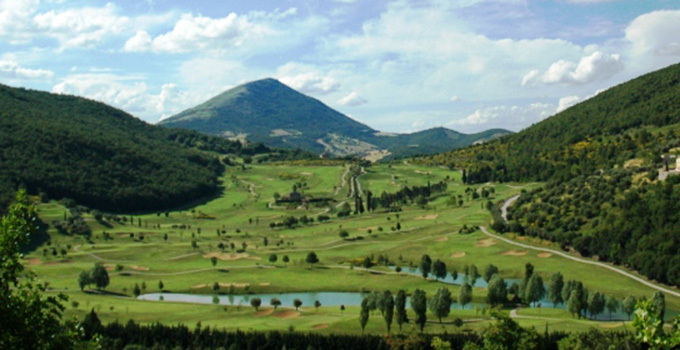 The 18-hole Antognolla Golf Course is situated in the 600 hectare estate of Antognolla in the heart of Umbria. 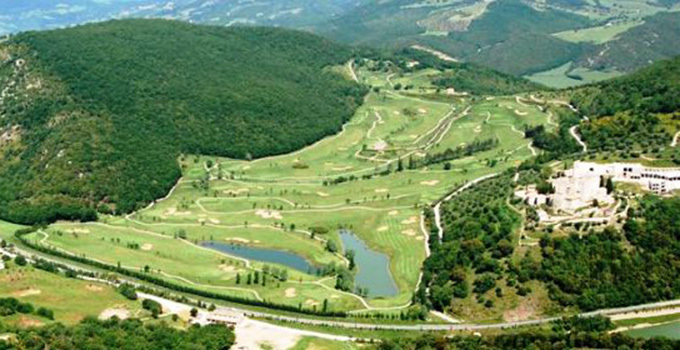 It is considered by many who have played it to be one of the most interesting and spectacular golf courses in Italy. The course is a design masterpiece by Robert Trent Jones, Jr. The layout features dramatic cliff-lined fairways, beautiful lakes, and stunning views of the medieval castle and surrounding countryside, giving golfers 18 holes of pure pleasure. This unforgettable golfing experience gives plenty of change in elevation and visual impact. 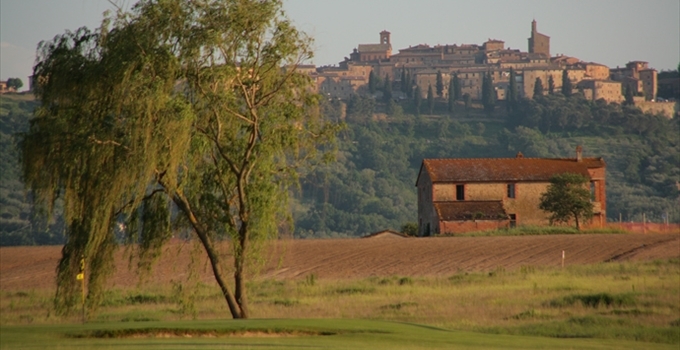 Each hole provides a new and exciting challenge, all with a stunning natural backdrop of the Umbrian countryside. The clever design makes this an enjoyable experience for both the low and high handicap golfer. Each will leave the 18th hole having felt challenged, uplifted by the beauty and determined to return to tackle Antognolla again.